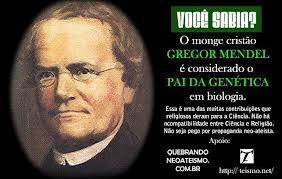 Gregor Mendel was born on July 22, 1822, at Hyncice, Czechoslovakia (then Heinzendorf, Austrian Silesia). His ancestors were farmers, and his father still had to work three days a week as a serf. Mendel displayed a great love for nature all his life. In 1831 Mendel was sent to the Piarist school in Lipník (Leipnik) and at the age of 12 to the grammar school in Opava (Troppau). In 1840 he enrolled at the Institute of Philosophy in Olomouc (Olmütz). Good day very cool blog!! Man .. Excellent .. Amazing .
. I'll bookmark your site and take the feeds also? I am happy to search out numerous useful info right here within the publish, we need develop more strategies on this regard, thanks for sharing. . . . . .
web, but I know I am getting experience all the time by reading thes nice content. come back from now on. I want to encourage you continue your great writing, have a nice day!